Are you thinking ahead to next year, and wanting to plan your musical programs? In today's post, I'm compiling blog posts--some written by me, and some by others--that detail programs based off of children's literature and themes, so that you can adapt and use if you'd like! Wangari's Trees of Peace: In this blog post, I detail using this book for a fifth grade program. 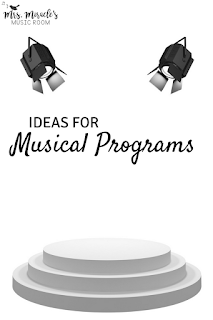 Wonderful if you're looking to integrate multicultural music with your upper elementary students! On the Day You Were Born: In this blog post, I write about using this beautiful book as a basis for a fifth grade program. The Gratitude Tree: In this blog post, I discuss using this fun book--written by my friend Stacey at Expressive Monkey--as the foundation for a third grade program. You Belong Here: In this blog post, I compile ideas for a third grade program for the heartwarming book, "You belong here." Olivia's Birds: I loved this fourth grade program, and it was a great way to raise money for a worthy cause! 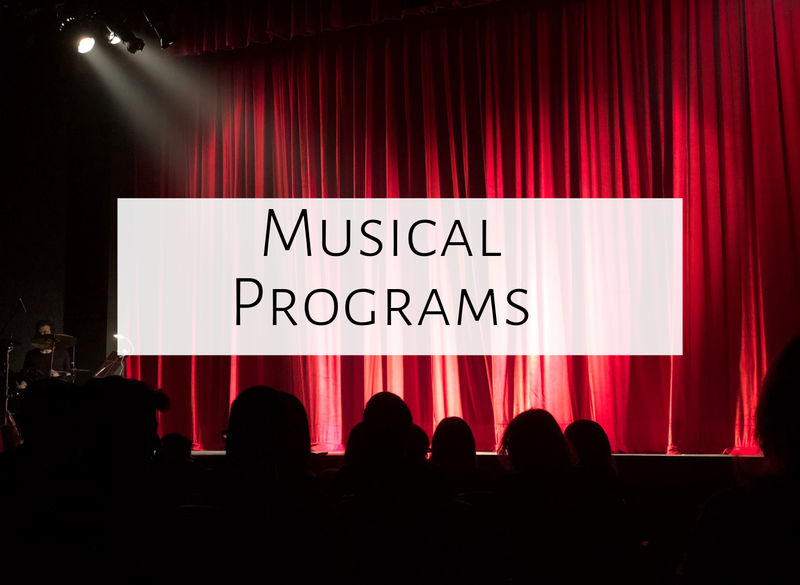 The Glow Show: My friend Amy Abbott at Music a la Abbott compiled lots of fun ideas for her program, which she entitled, "The Glow Show," using both folk and pop music. The Day the Crayons Quit: In this blog post, Emily from Emily's Kodaly Music writes about how she created a 2nd grade program based off of the book, "The Day the Crayons Quit." Lots of fun ideas and songs! Happy planning, and happy summer!